Everyone used to straighten their teeth using braces. However, there are many shortcomings to braces. Invisalign was invented to solve the problems of braces. It takes what's bad about braces and improves the process. We understand that many teenagers don't want to wear braces. Braces can lower their self-confidence, cause a lot of pain, and become a hassle for them. This is why teenagers are now choosing to use Invisalign to straighten their teeth instead. Adults are using Invisalign to straighten their teeth too! This is because of the little hassle required to use Invisalign. We understand people want convenience and we're happy to share that we can straighten your teeth with convenience and confidence. Invisalign is the perfect solution for teenagers and adults to straighten their teeth and perfect their smile. Take advantage of a beautiful smile with the convenience of Invisalign. We've helped many with their Invisalign treatment and are a preferred provider for invisalign. The images below show results from some of our satisfied patients who used Invisalign from Dr. Webb. These individuals wanted to straighten their teeth without going through the hassle of wearing braces for months on end. Before: This photo was taken before the patients Invisalign treatment. After: This photo was taken after our patient completed their Invisalign treatment. Here is another example of the great results one of our Invisalign patients received from Dr. Webb. The Invisalign treatment lessened the gaps between their teeth, creating a straighter, healthier, and easy to clean smile. Finally, one more Invisalign patient happy with how their treatment corrected their smile conveniently and effectively. Invisalign allows anyone to straighten their teeth without the need to wear braces every day. Align your teeth with convenience and confidence from your Invisalign preferred provider, Dr. Webb. Why Would I Want ​Invisalign? Unlike braces, which allow everyone to see the metal in your mouth, Invisalign is invisible and undetectable. It doesn't hold you back because you can remove your aligners so you can eat, drink. floss, etc. Yes, with Invisalign, you can eat whatever you want. You won't even need to worry about irritation of your gums and cheeks because unlike braces, Invisalign has smooth edges. Invisalign consists of aligners you wear in your mouth. You swap out your aligners about every two weeks. The aligners are designed with specific calculations to shift your teeth into place over time. Invisalign is custom-made for your teeth and only your teeth. Dr. Webb will will help you devise a plan using Invisalign so you know you'll end up with the perfect, healthy smile. If you have crooked teeth, known as malocclusion in the dental world, there are negative side affects you may not know about. Malocclusion affects the health of your gums. This is because it is difficult to remove plaque when your teeth are not aligned correctly. This may lead to cavities and tooth decay. Poorly aligned teeth also creates unnatural stress and pressure on your teeth. Teeth subject to excessive pressure can develop abfractions. Abfractions are chipping and notches along the gum line. Premature wear may also lead to poor root support, loose teeth, and if never taken care of, tooth loss. Invisalign aligners straighten your teeth to prevent all these oral health issues. Puts excessive force on teeth, which can move teeth too fast causing root resorption. Digital Impressions With No Goop! We offer digital impressions of your teeth using the iTero scanner system to digitally craft a virtual model of your teeth. No more gooey goop, discomfort, or gagging!. This system allows us to create highly accurate digital impressions of your mouth, instead of using a gooey material that hardens around your teeth to create a mold.. This technology benefits patients by eliminating the need for tray and putty impressions. This provides a more accurate impression under a more comfortable experience with no hassle on your end. You can even view a 3D model of your mouth and compare how your teeth adjusted from the beginning of your Invisalign treatment to the end. Straight Teeth Are Healthier Teeth! Straight teeth don't just look good, they improve your oral health too. 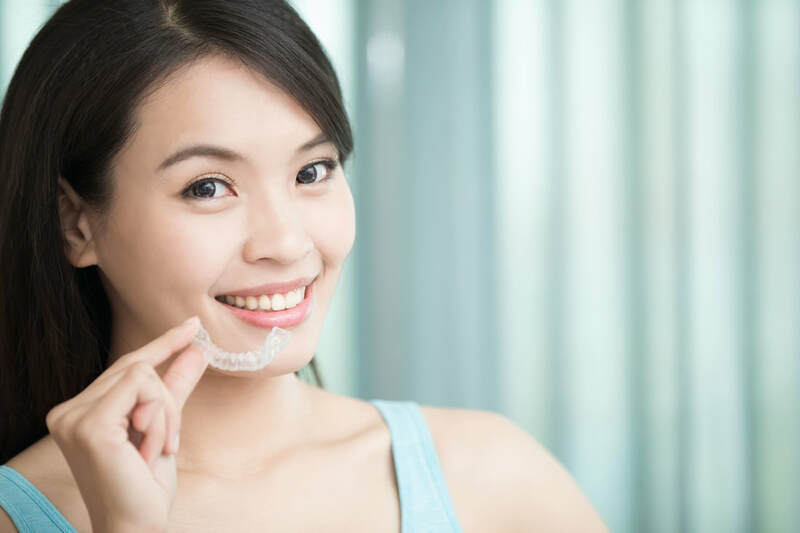 An Invisalign treatment is the perfect method to reap all the benefits of straight teeth in a convenient manner. What are you waiting for? Contact us today to put you back on track for healthy teeth and gums for life! ​Schedule an appointment to bring new life into your smile with Dr. Webb! Whether you want to straighten your teeth or improve your oral hygiene, Dr. Webb has you covered.